Memac Ogilvy has produced a campaign for UN Women using Google’s autocomplete search facility to remind us that gender equality is still a worldwide problem. 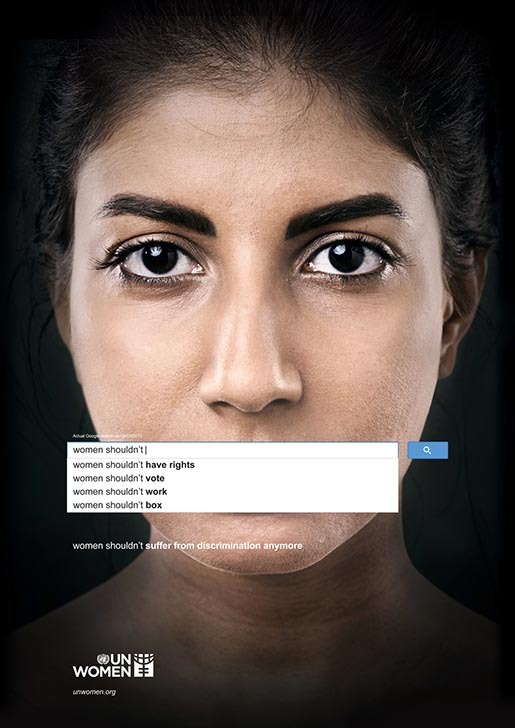 “Women cannot…” “Women shouldn’t…” “Women should…” “Women need to…” Each phrase has its list of offensive autocomplete suggestions, accompanied by a strong affirmation of women’s rights for equality. 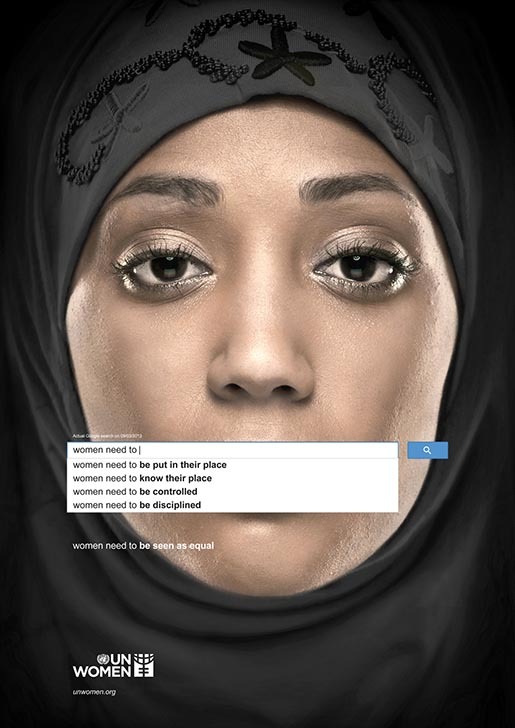 Based on searches dated 9 March, 2013, the ads expose negative sentiments ranging from stereotyping as well as outright denial of women’s rights. 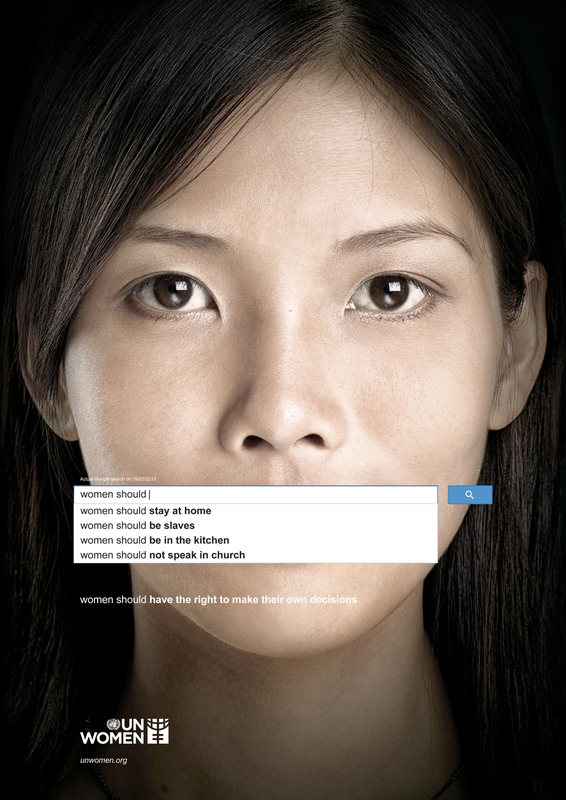 See the campaign on the UN Women site, UN Women Say To Violence site and Facebook page. Published on Behance in May, the campaign has gone viral over the last week. Featured in the video are the National Woman Suffrage movement in the USA (1869), the 1893 Electoral Act giving women in New Zealand the right to vote, the transAtlantic flight of Amelia Earhart in 1932, the recruitment of women to the workforce in wartime Britain (1940), Soviet cosmonaut Valentina Tereshkova, the first woman in space in 1963, Indira Gandhi as Prime Minister of India in 1966, and Saudi Arabia athlete Sarah Attar in the 2012 London Olympics. “When we came across these searches, we were shocked by how negative they were and decided we had to do something with them,” says Christopher Hunt, Art Director of the creative team at Memac Ogilvy. The idea developed places the text of the Google searches over the mouths of women portraits, as if to silence their voices. 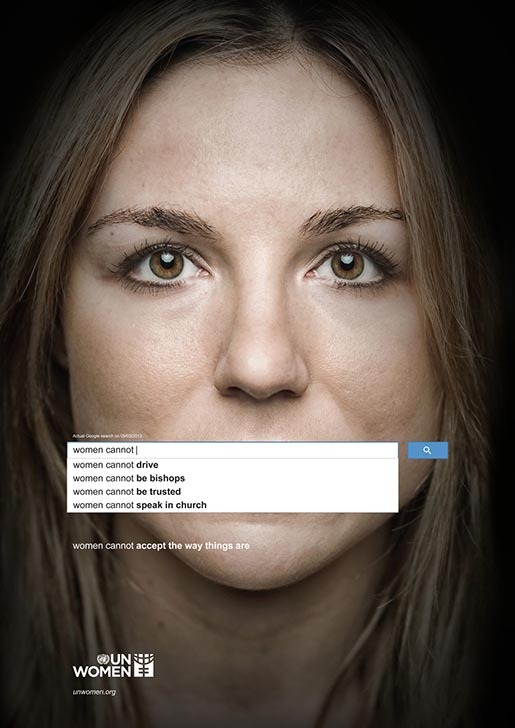 The AutoComplete campaign was developed at Memac Ogilvy, Dubai, by creative director Ramzi Moutran, associate creative director Sascha Kuntze, art directors Christopher Hunt, Sabia Fatayri and Leo Rosa Borges, copywriter Kareem Shuhaibar, and retoucher Ricardo Moreira.